The threats associated with the incoming migrant “caravan” extend far beyond just border penetration and a potential crime infestation. According to Dr. Jan Orient, executive director of the Association of American Physicians and Surgeons, the approaching caravaners could also be bringing disease with them. Unlike the days of old when the poor, huddled masses entered through Ellis Island, the roving hordes south of the border likely won’t be screened before possibly being granted entry based on “asylum” status. As a result, they could end up becoming disease carriers, spreading all sorts of exotic illnesses to American families. “It just makes no sense from a public health standpoint to let in a lot of people who have not been screened,” Dr. Orient told Amanda House, deputy political editor for Breitbart News and host of Breitbart News Sunday on the SiriusXM Patriot Channel. Unscreened immigrants have already been crossing America’s southern border for many years now, and as NaturalNews.com has previously reported, often bring with them diseases that threaten law-abiding American citizens. This threat will only increase exponentially if America’s southern border isn’t sealed in time for this latest onslaught of migrants. To keep up with the latest news about the migrant caravan, be sure to check out InvasionUSA.news. With as many as 14,000 migrants set to reach America’s southern border in the coming weeks, President Donald Trump has promised that he will do everything possible to stop them. The president says he will even go so far as to send the U.S. military to the border to make sure that nobody gets through without first being properly vetted and taking the legal immigration route. The Department of Defense (DoD) is also getting involved. According to the Military Times, at least “800 active-duty troops, not National Guard forces” will soon join “the 2,100 National Guardsmen” who are already stationed and ready along the border to deal with the incoming threat. These added forces will reportedly handle various administrative duties associated with fending off the caravan, though it remains unclear whether or not these individuals will be armed for self-defense purposes. “DoD is committed to continuing its support to ensure the safety and security of CBP personnel involved in border security operations, increase the effectiveness of those operations, as well as support DHS efforts to stem the tide of illegal entry into the United States,” stated Navy Captain Bill Speaks, a spokesman for the Office of the Secretary of Defense. Back in April, General James “Mad Dog” Mattis granted authorization for as many as 4,000 U.S. troops to be sent to the border, so long as the governors of their respective states approved. 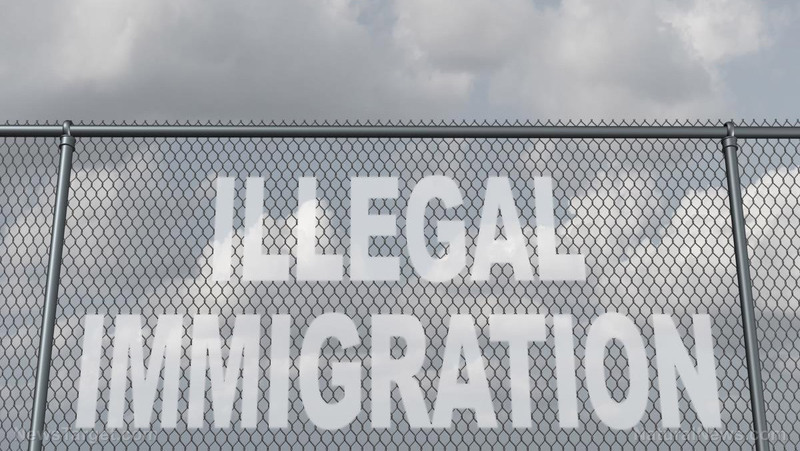 These National Guardsmen will be prohibited from interacting with migrants, as well as from taking on any type of law enforcement role while stationed there. “Many Gang Members and some very bad people are mixed into the Caravan heading to our Southern Border,” tweeted the president on October 29, following an announcement by the Pentagon that it plans to send 5,000 troops to the border as well. More related news about threats to the United States can be found at NationalSecurity.news.